Japan is the wonderland for every Cosplayer. You have shops where you can get wigs, Cosplays and accessories. 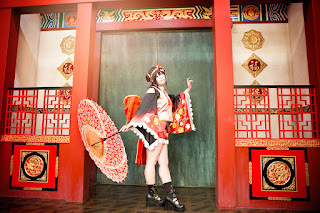 You have Cosplay events and even photo studios with a Cosplayerfriendly environment. 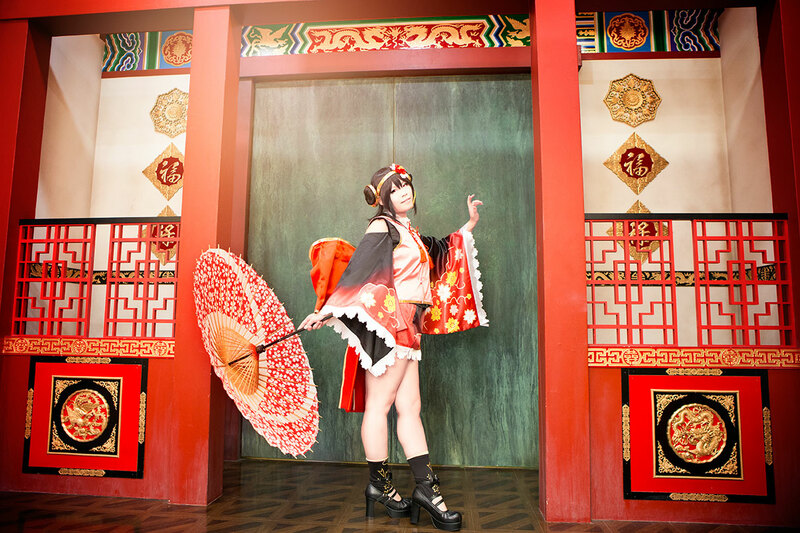 For Japanese Cosplayer, using a Cosplay photo studio is very common. Instead of wandering around and searching for the perfect location you just look up a photo studio with a suitable setting and just booked it. 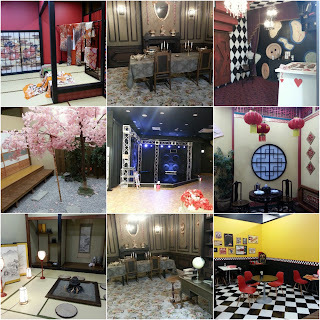 Cosplay photo studios in Japan have special furnished rooms with a themed setting (and if you need; just a white/ black wall). Most of the studios are providing several settings to fulfill the needs of their customers. They also have changing rooms, lockers and are equipped with amenities like hairspray, bobby pins and more. Most of the studios also provide camera (equipment) and Cosplay accessory rental. 1. Cosplay photo studios are not made for foreigners. If you cannot speak Japanese, you should learn it or take a Japanese speaking friend with you. At some studios you need to fill out Japanese forms to get in. English speaking staff is very rare (like everywhere in Japan). I once visited a studio with friends and the staff where searching non stop for me, because they wanted to speak with my friends. Although my friends are very considerable they nearly got kicked out. Japanese studios have a lot of rules and most of them aren’t obvious. Of course the rules are displayed but only in Japanese. I also red that even Japanese students or people who lived several years in Japan had problems regarding to the forms and communication. So be prepared. If you cannot bring a Japanese speaking friend or speak Japanese there are a few studios which are used to foreigners. You can recognize them easily: they offer an English website and reservation. But be aware that English website doesn’t mean that the staff can speak English. I would recommend Studio crown in Akihabara (Tokyo). A friend of mine owns this studio. She can understand German and speaks fluently English, because she lived abroad. Her studio also offers a special Cosplay dressing and photo service for foreigners. 2. Also be aware that you need to book some studios before head. The website is mostly Japanese and due to security reasons and pictures as buttons you cannot translate via Google translate (or other services) easily. My Japanese friend recommends always reserving the studio before head. At some studios you need a membership to get in. The reservation progress can be very complicated and might require a Japanese address or phone number. We couldn’t reserve before head, because my friends couldn’t create an online account so we just walked in. I guess, as long it is a share studio and you are going for a normal working day it should be fine. If you want to get a private room or to shoot on holidays you should reserve. Of course it depends on the studio itself. 3. Always dress up at the studio and change back to your normal cloths after the shooting. In Japan there is an unspoken rule to change at the location itself. If you come dressed in Cosplay they might refuse your entry. The studios are providing a changing room, lockers and a Cosplay friendly environment. You should know that the changing room will be a big hall where everyone will sit on he floor and change. You should bring a small mirror and try not to spread you things too much in order to leave as much space as possible for other visitors. 4. Don’t cut your wig in the changing room and always clean your shoes before entering a setting. Sometimes you even have to put off your shoes.They mostly provide special tissues for the shoes, a shoe shelf and rooms for wig cutting. Some studios also have rules regarding to the skirt length or that you have to wear a shorts under your shirt. If you are the one taking pictures, be aware that there are often regulations regarding the camera equipment. Because some settings are the hallway itself (which everyone uses to move around) you are maybe not allowed to use more than one soft box and only a limited number of flashes. 5. The most studios don’t provide a photo service. Japanese Cosplayers are mostly visiting the studios in a group and are taking pictures of each other. It is quite uncommon to come with your own photographer. You can rent a camera + equipment at the studio itself. Cosplayers at a studio normally don’t communicate much with other Cosplayers and are staying in their group. So if you want to make new friends a studio might be the wrong place. 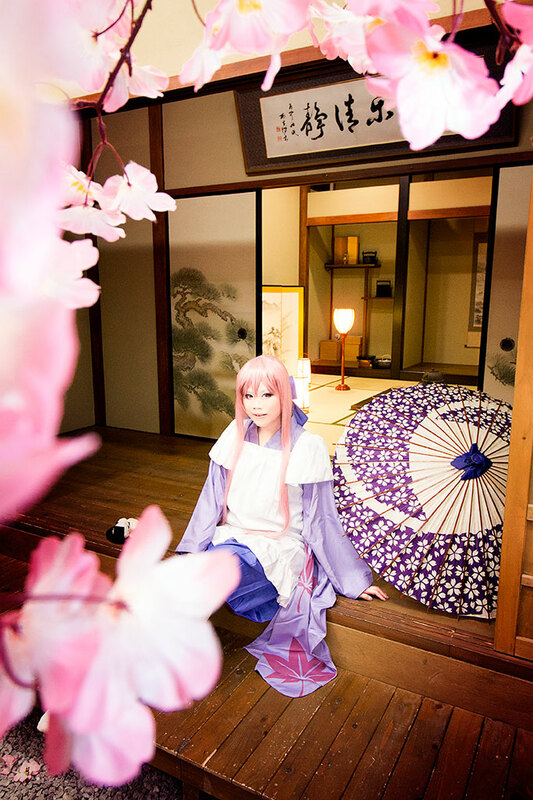 Japan has a big variety of Cosplay photo studios. You can mostly rent them for 1 hour, 3 hours, half a day and a whole day. Some rental time does include your changing time some not. Just be careful to check it if you are going for a Cosplay that takes some more time to change in order not to use up your precious shooting time. At the share studio you are paying an entry fee per person and are free to use every setting which is not occupied. You are paying an affordable fee and can use a lot of different settings. It is kind of “all you can shoot”. If you forgot to reserve you can try to get a ticket right on that day and hope that there are still tickets left. The disadvantage: If you want to use a certain setting you might have to wait and you cannot occupy a space for several hours, because other people might wait for this certain setting (Japanese people won’t wait obviously). Because some settings are placed at the hallway and you are sharing the space with other foreign people. You have to obey a lot of rules and always have to consider other Cosplayer using this studio. You also have the possibility to rent a private studio. You are paying a fee per room (or a group of rooms). Because you are renting the room for your usage only, be prepared to pay for it. Because you are paying per room, you have the possibility to invite friends for a shooting and to share the costs. Although it is expensive at the first glance it might become affordable. If you want to rent a private studio, a reservation is required and a reservation in Japanese might become very challenging. It might be more expensive than a share studio, but you can use the place more freely without worrying about other foreign Cosplayers and disturbances. Because the share studios are cheaper, you will find a lot of pictures taken at the same setting again and again. So if you are searching for a more unique setting, I would recommend going for a private studio. Some Hotels are offering a Cosplay photo studio service next to their main business. Or if you are going to stay in a very special hotel /Ryokan just ask them if you can shoot there. You are just booking a room (mostly special furnished ones or with features like a pool) and just use it as a shooting location. Some hotels are offering their rooms for rental at the day time and for staying at the night time. Some Hotels also offer both. Normally you are paying per room (or per person if you also want to stay in this room). 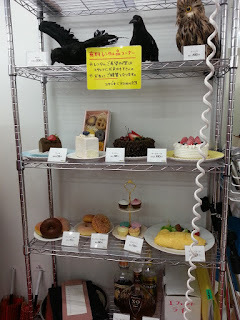 They are mostly not equipped with rental services, don’t have Cosplay related staff and changing rooms. Bear in mind that their main business is not to be a Cosplay studio. But these rooms are mostly equipped with an en suite bathroom. So changing and getting ready is possible in a private environment. You also can share the hotel room to save money and to stay over with friends after the shooting. It is a nice combination if you want to spend a night in a nice Hotel and to take some pictures. In Japanese Cosplay studios you can rent camera equipment, light equipment and a variety of accessories. So you don’t have to bring more than Cosplays and Make-up. It is a quite comfortable service particularly if you are coming from oversees and struggle with your limited baggage space. The most studios offer free reflectors and are using artificial day light to light up the studios. But if you still want to use a soft box or flash you can rent it right at the studio itself. Nearly every studio also offers a camera rental. Some studios are only providing Nikon or Canon equipment. So it might be difficult to get a fitting flash. I also saw that the prices are varying from studio to studio. Some studios are offering a free rental for 2 hours, some 300 yen per hour, and some 300 yen for a whole day. So be sure to check the prices in order to get the equipment you want and not to spent a fortune. Most of the studios are offering a rental service for Cosplay accessories like micros, schoolbags, fake food, umbrellas etc. This service also varies from studio to studio. While one studio might offer a very limited choice the other studio might have so many accessories, that you have difficulties to choose. Some studios tend to give them out for free, while other studios charge you per item. I really love to use accessories so I tend to choose my studios (next to the entry fee and settings) based on the variety of accessories. Until now I only used studios which are giving their Cosplay accessories out for free. Also be careful when you are choosing a studio. The entry fee might be very cheap but if you intend to rent equipment or additional items it might be cheaper to go for a more expensive one. I hope that this guide might help you for your next time in Japan. I really recommend every Cosplayer to visit once a Cosplay photo studio. Compared to Germany the shooting possibilities seem unlimited. It is really a great feeling to shoot at a Cosplayerfriendly environment and to shoot at special locations freely without worrying about publishing rights, unaffordable fees and people who are not familiar with Cosplay. Next time I will right about the Cosplay studio and the Hotel I used during my last Japan trips.